Once again, we find some very useful research on Phil Cashen’s Shire at War blog, based in Yarram (Alberton Shire) in South Gippsland. Most recently, we read about recruitment problems in the Shire. Shire at War now looks, in blog no. 150, at the other side of that story, specifically the aftermath of the December 1917 second conscription referendum (plebiscite). To-morrow Australia will decide whether reinforcements are to be sent to our brave men in the firing line. We cannot conceive that any right-thinking man will have been so influenced by anti clap-trap to record “No” at the polling booth – tantamount to signing the death warrant of thousands of our boys in the trenches. 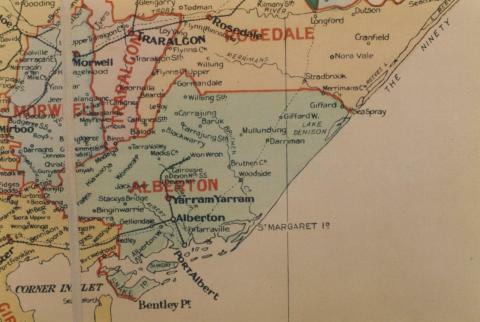 Alberton, observes blogger Cashen, ‘could start 1918 confident that it was one of the few places in Australia that had remained “loyal”’. But the bitterness was replicated across the country.